Jun Tanaka is available to book for your special event – we work in direct association with Jun Tanaka’s representative as a booking agent for him. 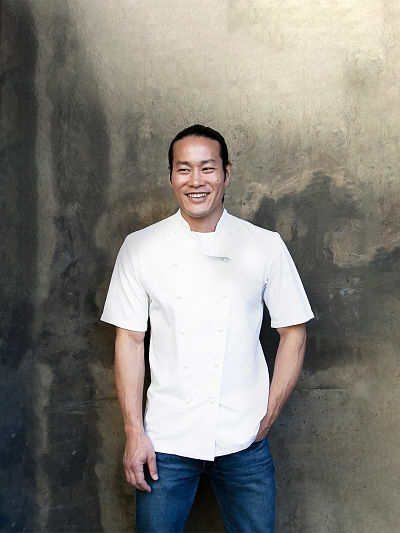 With over 20 years’ experience working in London’s top restaurants such as Le Gavroche, The Restaurant Marco Pierre White and The Square, where he was trained in classic French cuisine by Marco Pierre White, Phillip Howard and The Roux brothers, the US-born, UK-raised chef Jun Tanaka has become a household name in the restaurant industry as well as a recognised face on television. 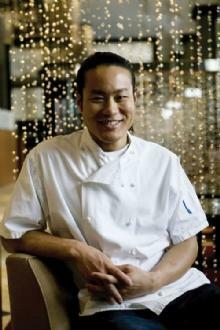 In 2004, Jun became the Executive Chef at Pearl Restaurant & Bar – the showpiece of the Renaissance Chancery Court Hotel in Holborn – where he developed and refined a unique, modern take on traditional French cooking: a precise and sensitive approach that focused on showcasing and accentuating the very best seasonal ingredients. During his tenancy at Pearl, he was awarded three AA Rosettes. 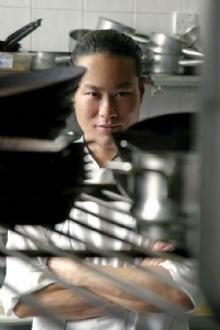 Jun’s first cookbook Simple to Sensational was published by Simon & Schuster in 2009. 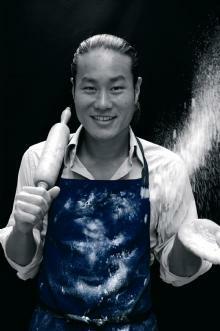 Jun’s career in television dates back to 2006, when he presented his own series, Cooking It, on Channel 4. He has since been a regular on BBC1’s Saturday Kitchen, UKTV’s Market Kitchen and BBC2’s Something for the Weekend, and appeared on various other shows such as Masterchef, Michel Roux Jr’s Food & Drink, and Food Network US’s Chopped, where he won the title of Chopped Grand Champion in 2013. Contraband is the UK’s top booking agent, with affable, skilled account managers who guarantee you the best deal possible. 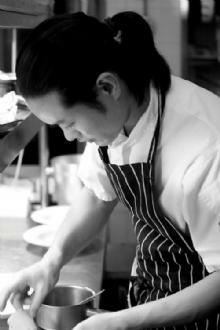 Contact us today if you would like to book Jun Tanaka to be the star of your event! We as your booking agent are more than happy to help you create the most memorable moments with Jun Tanaka.